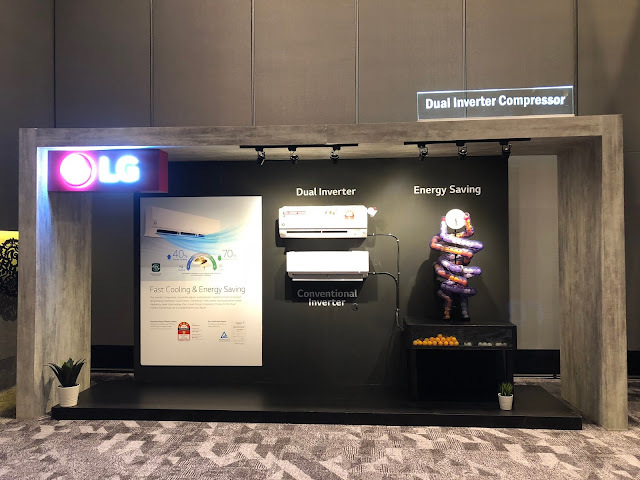 Moving forward with its “Creating a Better Life” concept, LG Electronics Malaysia today unveiled its all-new DUALCOOL air-conditioner. Bearing the usage of cutting-edge technology, the leading consumer electronics brand unveiled the curtains to a positive response, becoming a strong addition to its signature and award-winning OLED TVs, Super UHD TV, InstaView™ Refrigerators and TWINWash™ washing machine. Gold Fin™ is LG’s patented anticorrosion coating. The Gold Fin™ ensures that the surface is more resistant to corrosion and enhances the durability of heat exchanger for a much longer period. With the given 10 Year Warranty on the air conditioner compressor, consumers can now enjoy the benefit of LG air conditioners for a longer period, allowing them to own a product that is bound to keep their wallet intact for a longer period. Anytime, anyplace, consumers can now access and control their air conditioner with a quick touch on their smartphones*. Whether they are using multiple devices for one air conditioner or one device for multiple air conditioners, LG’s exclusive home appliances control app is designed to make consumers life easier, by just tapping away on their phones. Consumers can also run a smart diagnosis through their smartphone, receiving information on their air conditioner in the form of an image, which can be transferred to the service technician. The air conditioner is also able to detect low levels of refrigerant, resulting in less cooling and mechanical failure. LG DUALCOOL’s slim and modern design makes installation easy and convenient. Regardless of the surroundings and the number of persons involved in the installation process, LG has now made it possible to install more air conditioners in shorter time. In addition to its outstanding performance and high energy efficiency, the DUALCOOL’s straightforward installation process saves time and effort for technicians and those making repairs.